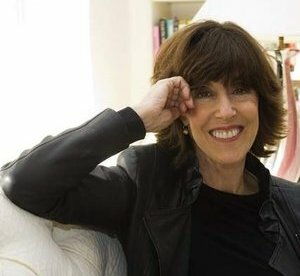 Multi-talented Nora Ephron passed away last week. Many aspects of her life are worth noting because she was – among other things – a great writer. Here are a few highlights taken from her obits and from The Philadelphia Inquirer column written by Karen Heller and carried on July 1. “Everything is copy,” her mother once said, and she and her father proved it by turning the college-age Nora into a character in a play, later a movie, “Take Her, She’s Mine.” The lesson was not lost on Ms. Ephron, who seldom wrote about her own children but could make sparkling copy out of almost anything else: the wrinkles on her neck, her apartment, cabbage strudel, Teflon pans and the tastelessness of egg-white omelets. In her commencement address in 1996 at Wellesley, from which she graduated in 1962, she advised, “Maybe young women don’t wonder whether they can have it all any longer, but in case any of you are wondering, of course you can have it all. What are you going to do? Everything is my guess. Next PostNext It’s a heatwave. Be careful out there.